What is a Penetration Tester? A penetration tester is someone that is employed or contracted by a company to break into their network and find exploits. They are often called an ethical hacker. A hacker accesses a computer system or network without the authorization of the company but an ethical hacker has a written agreement that grants him permission to break into the network. Why would a company want someone to break into their network? Companies need to know if any parts of their network infrastructure are vulnerable to attack. To protect a company’s network, many security professionals recognize that knowing how the bad hackers think and what tools they use will allow them to better secure the network. In a penetration test, an ethical hacker attempts to break into a company’s network to find the weakest link in that network or any of its systems. Please note: Hacking into any network without permission is a crime and can mean jail time, make sure when you are learning and practicing that you have permission to do so if it is not your own network. Salary – Ranges from $80,000 to $120,000 depending on your job duties and in-depth of the penetration tests being performed. Job Growth – As technology advances and more security is needed, pen testers are in high demand. Education – A bachelor’s degree in Information Technology or an advanced diploma in network security is recommended. Knowledge in many operating systems like Windows client and server OS, MAC OSX and Linux is a must. Must have extensive knowledge in network security and the latest hacking tools. 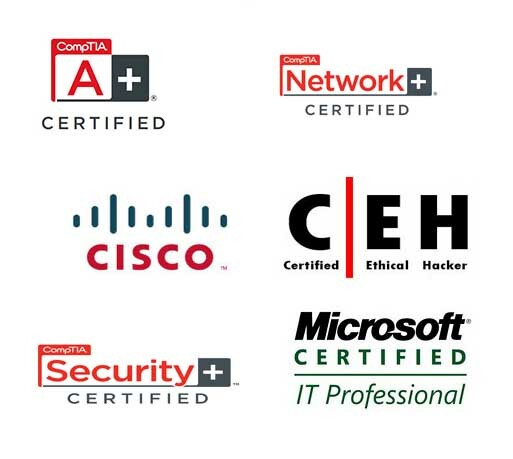 If you earn the degrees and certifications that make you a Certified Ethical Hacker then you will be in high demand by many companies who will seek your services. Companies are always afraid of what they don’t know. So when they hear the word “hacker” they fear the unknown. A hacker can penetrate a network and leave his mark before you experience the damage later. It is too costly for a company to not ensure their network is secure. With your own consulting business you will perform penetration tests and earn a modest living on your own schedule. Stand out from the crowd and Succeed! Transcender helped me study for all my IT certifications. You can't go wrong since they guarantee you will pass every exam on the first try or your money back!! The more you learn then the more you will earn! <---Go back a section to "Database Administrator"